Understand how our weather works with the 4M Weather Station. 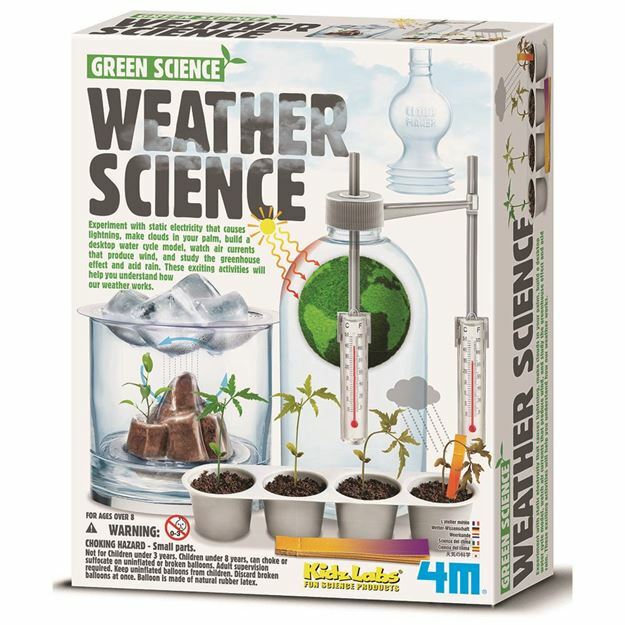 Experiment with static electricity that causes lightning, make clouds in your palm, build a desktop water cycle model, watch air currents that produce wind, and study the greenhouse effect and acid rain. Includes: a balloon, cloud and mountain shaped covers, mountain base, cloud-making pump, 2 thermometers, a seed tray, accessories and detailed instruction. Age 8+ years. Part of the Green Science range. Distributed in New Zealand by Holdson.